I’ve got another great article on children’s gardening for you today. Enjoy, and please leave a comment beneath the article if you can. It really helps when I can see people interacting. Thanks very much to everyone that commented last time. We can see how poorly nature is often treated these days. It is sad to know that not all people pay attention to environmental problems. What can we do about this? It’s as simple as starting with children. It is good to see the children’s involvement with environmently-friendly activities. 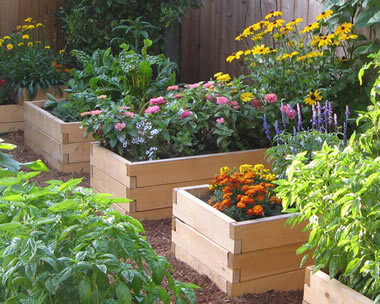 One such nature-loving activity that children could easily get their hands on is gardening. So, why should you consider gardening for your children? In planting, children are indirectly taught the wonders of science like the plant’s life cycle and how human’s intervention can break or make the environment. They can have first hand experience on the miracle of life through a seed. This would definitely be a new and enjoyable experience for the kids. You can forget about your stressful work life for a while and be soothed by the lovely ambience in the garden. You can play and spend quality time with your children. You can talk while watering the plants or you can work quietly beside each other. The bottom line is, always do what you have to do, together with your kids. You might discover a lot of new things about your child while mingling with them in your garden. That’s it on How to interest children in gardening for now, but I’ll be back in a day or two with some more advice on gardening gifts, garden table and chairs and gardening tips. If you want to buy, click to compare plastic greenhouses or read reviews on Amazon.